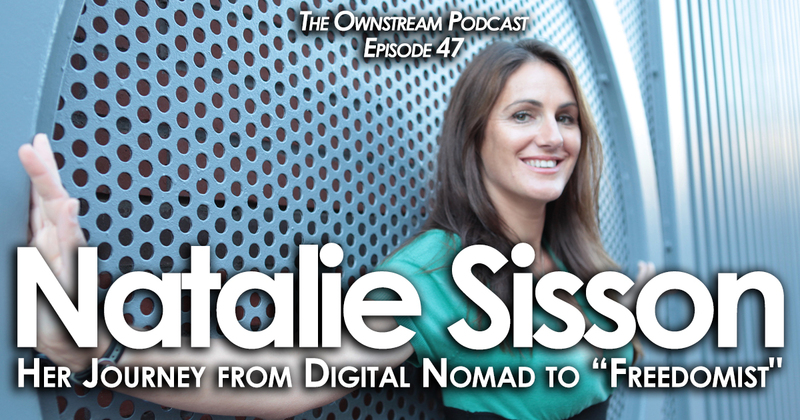 OS47: Natalie Sisson - Her Journey from Digital Nomad to "Freedomist"
For Natalie Sisson, doing anything which doesn’t feel good for too long sets off an internal alarm. Being out of alignment with what feels good is a signal to change. So, some 10 years ago, after too many days of feeling “off” at a corporate job…she quit. What’s remarkable about her decision is that she didn’t have a solid plan for what to do afterwards, but took the leap anyway. What unfolded from there is truly epic: 70 countries in 7 years, multiple online programs helping other digital nomads, a very popular podcast, her own book and a vast array of experiences that many only dream about. And, as she describes in this week’s Ownstream podcast, she mainly follows the simple breadcrumb trail of her excitement. She is comfortable not knowing what lays past the horizon. Simply seeing it is plenty for her. This outlook has given her the amazing ability to leap where others might balk. And, it has given her the conviction that others can do the same. She has helped thousands of other people go for it in life, without necessarily knowing what’s to come too far down the road. She recently gave up the digital nomad lifestyle and now owns land in New Zealand and, with her partner, has a new vision of freedom and service. Instead of traveling the world to meet interesting people, she will host them at their newly fashioned co-working and retreat space. All the way here, from a desk job in the UK, while only knowing the next step or two in front of her. What’s wonderful about this conversation is that Natalie believes that anyone can do this. The path she has walked isn’t for the few. It’s for those who decide it’s for them. A simple, yet powerful, decision to follow her own alignment has made all the difference. Consider yourself warned: this conversation might give you the clarity and motivation to decide to take the leap yourself. So, what will your decision be?